Having a dog in your life can be incredibly rewarding. Like humans, though, dogs are prone to certain ailments and conditions, and it is important to understand what some of those conditions are. One of the most serious conditions a dog can suffer from is bloat. Bloat in dogs, if unnoticed or left untreated, can be fatal.1 While the actual causes of GDV are still unknown, understanding what to look for – and what you can do to possibly avoid bloat in dogs – is critical. What is Bloat and What Causes it? Bloat , more formally known as gastric dilation-volvulus, occurs when a dog’s stomach fills with air. When too much air builds up in the stomach, pressure increase. This can stop the flow of blood to the dog’s hind legs and abdomen, and the blood doesn’t return to the heart. When this happens, blood collects in the rear of the dog’s body, which can cause shock. 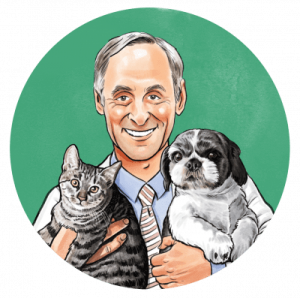 Not only can a dog suffering from GDV go into shock, but their stomach may actually flip its orientation (and the spleen and pancreas with it), cutting off more blood flow. 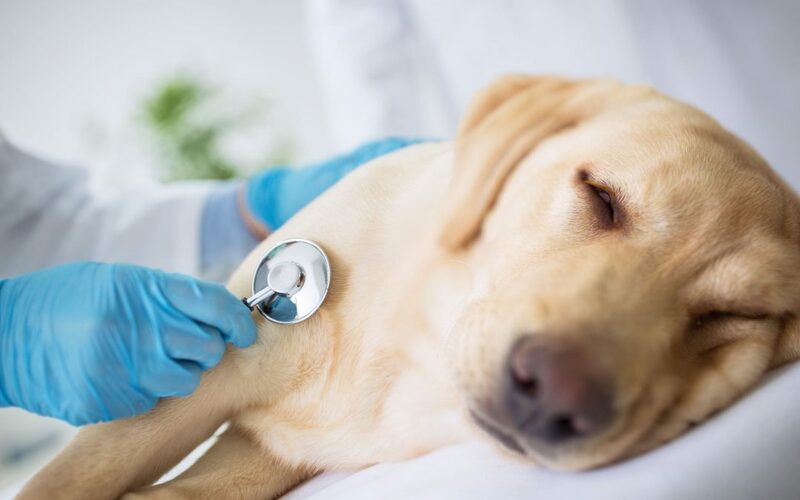 Without the necessary oxygen from the blood, the pancreas begins to develop toxic hormones, some of which can stop a dog’s heart.2 But, if you pay attention to certain factors, you can try and help your pup steer clear of these dangers. While veterinarians are still unsure what causes bloat in dogs, they do agree on some of the symptoms of bloat in dogs. How Do I Know if My Dog Has Bloat? Now that you have a better understanding of some of the factors that can lead to bloat, it is important to understand the signs of bloat in dogs. Symptoms of bloat in dogs vary, but each of them can be a telltale sign that your dog needs immediate medical attention. Dogs suffering from bloat may have a swollen or enlarged stomach, which may or may not be visible just by looking at your dog. However, if you’re not sure your dog has GDV or not, gently feel their belly and abdomen. 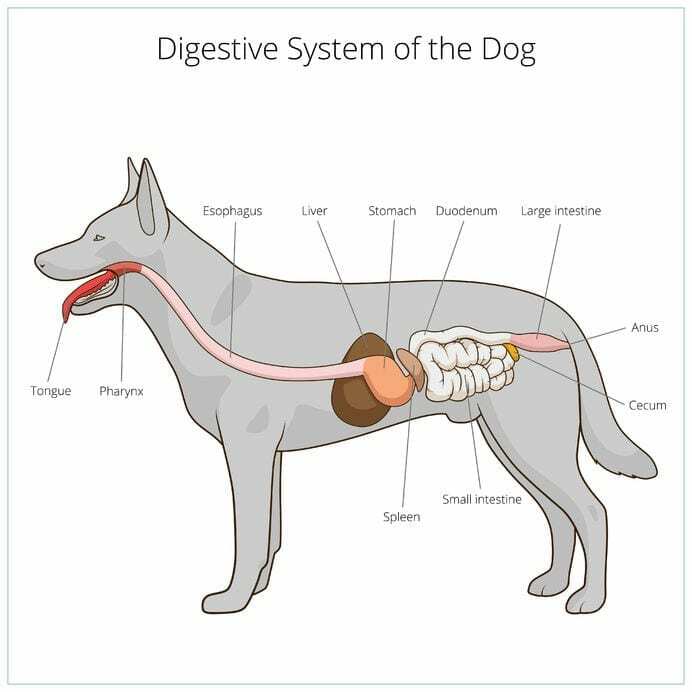 Dogs experiencing GDV may have a stomach that feels very hard or solid. This is due to the accumulation of air and/or fluids in their stomach and is a red flag that your dog could be in danger. If you’re concerned your dog is suffering from bloat, it is extremely important that you seek veterinary care for your dog immediately. Bloat is a very serious medical condition and waiting too long could have dangerous consequences for your dog. When it comes to GDV, it is best to not take any chances: if your dog shows any signs of bloat, head to the animal hospital. GDV is one of the most well-known conditions in dogs, and chances are your vet is no stranger to it. They will be able to tell quickly if your dog needs immediate care or not, and if your dog does need emergency surgery, they are safest under the supervised care of your veterinarian. While there are no hard-and-fast rules that completely protect your dog from GDV and the associated symptoms, there are several things you can do to potentially lower your dog’s risk of GDV. Trying to protect your dog from GDV requires you pay special attention to a variety of factors. As mentioned before, some dogs are just more predisposed to GDV than others. Large breed dogs and specific breeds may be more prone than others, and there is nothing you can do to change that predisposition. However, there are some common, everyday things you can do or watch for that improve your dog’s chances of not getting GDV. 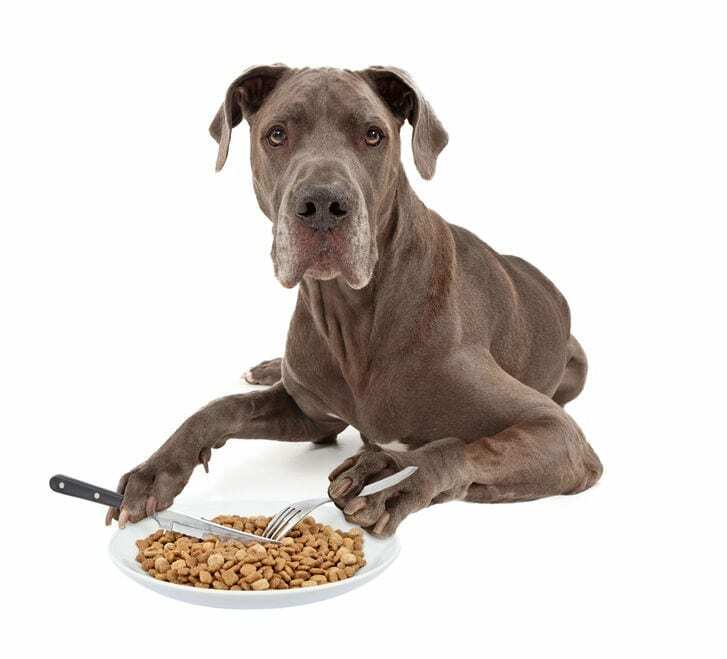 If your dog seems to inhale their food every time you feed them, you can do a few things to slow down their eating. Slowing down their eating may help in preventing GDV, because smaller portions of food may reduce the amount of air they ingest while eating. 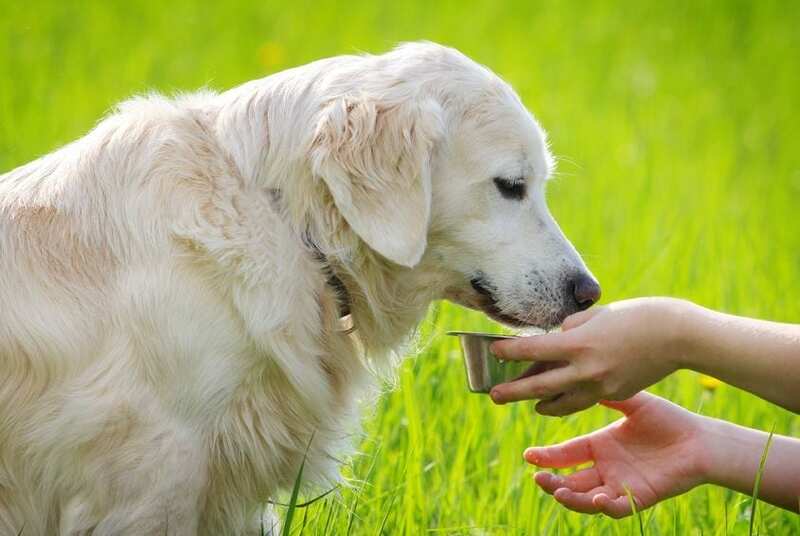 When you feed your dog, give them their meals in smaller portions. In other words, if your dog usually eats 2 cups of food for every meal, consider giving them a quarter of a cup at a time. If you think your dog may be suffering from bloat, don’t hesitate to contact your vet immediately or take them in to be examined.  Bloat prevention isn’t foolproof, but by knowing the signs of bloat in dogs and symptoms to look for – and ways you can reduce your dog’s chances of getting GDV – you can feel better knowing that you’re doing everything you can to ensure your dog’s health and happiness.